Step off the beaten path and head to Dolphin Quay and Rockingham Beach. You'll find plenty of places to visit near Perth: Yanchep National Park (in Yanchep), Waterskiing & Jetskiing (in Mandurah) and Fremantle (Fremantle Fishing Boat Harbour, Fremantle Prison, & more). 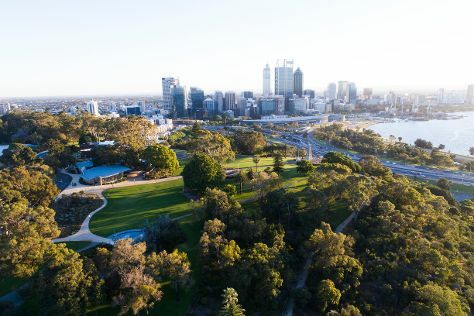 Next up on the itinerary: admire the natural beauty at Kings Park & Botanic Garden, make a trip to The Bell Tower, contemplate the long history of The Perth Mint, and explore the activities along Swan River. To see ratings, more things to do, and more tourist information, you can read our Perth travel tool . The Route module shows you all the different ways you can get to Perth. Expect a daytime high around 33°C in November, and nighttime lows around 15°C. Cap off your sightseeing on the 15th (Thu) early enough to travel to Kalgoorlie-Boulder. Discover out-of-the-way places like Museum of the Goldfields and Hannans North Tourist Mine. To see more things to do, photos, other places to visit, and other tourist information, use the Kalgoorlie-Boulder itinerary planning app . Traveling by flight from Perth to Kalgoorlie-Boulder takes 4 hours. Alternatively, you can drive; or take a train. In November, plan for daily highs up to 35°C, and evening lows to 17°C. Wrap up your sightseeing on the 18th (Sun) early enough to travel to Eucla. Eucla is the easternmost locality in Western Australia, located in the Goldfields-Esperance region of Western Australia along the Eyre Highway, approximately 11km west of the South Australian border. Start off your visit on the 19th (Mon): stroll through Eucla National Park. To see ratings, where to stay, other places to visit, and other tourist information, read our Eucla trip planner. Traveling by car from Kalgoorlie-Boulder to Eucla takes 10.5 hours. Alternatively, you can fly. Finish your sightseeing early on the 19th (Mon) to allow enough time to travel to Coober Pedy. Eschew the tourist crowds and head to Old Timers Mine and Josephine's Gallery & Kangaroo Orphanage. There's lots more to do: admire nature's extreme beauty at Breakaways Conservation Park, take an in-depth tour of Umoona Opal Mine & Museum, pause for some serene contemplation at Serbian Orthodox Church, and admire all the interesting features of Tom's Working Opal Mine. For reviews, photos, other places to visit, and other tourist information, read our Coober Pedy itinerary builder app . Traveling by car from Eucla to Coober Pedy takes 17 hours. Alternatively, you can fly. The time zone difference when traveling from Eucla to Coober Pedy is 1 hour. In November, daily temperatures in Coober Pedy can reach 38°C, while at night they dip to 20°C. Finish up your sightseeing early on the 22nd (Thu) so you can travel to Port Augusta. Start off your visit on the 23rd (Fri): take in nature's colorful creations at Homestead Gardens, let the kids burn off some steam at Port Augusta Train Park, then take in the exciting artwork at Port Augusta Cultural Centre - Yarta Purtli, then admire the natural beauty at Australian Arid Lands Botanic Garden, and finally get great views at Water Tower Lookout. For where to stay, photos, more things to do, and more tourist information, refer to the Port Augusta trip itinerary planner. Explore your travel options from Coober Pedy to Port Augusta with the Route module. Expect little chillier temperatures when traveling from Coober Pedy in November; daily highs in Port Augusta reach 30°C and lows reach 16°C. 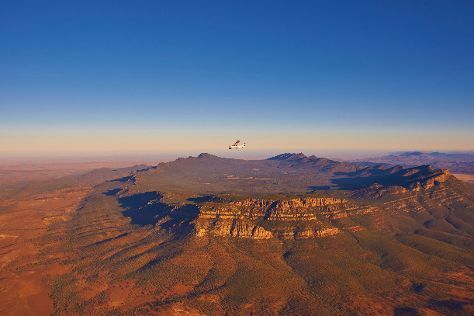 Finish your sightseeing early on the 23rd (Fri) so you can travel to Flinders Ranges National Park. Start off your visit on the 24th (Sat): admire all the interesting features of Heritage Blinman Mine and then explore the striking landscape at Wilpena Pound. Get ready for a full day of sightseeing on the next day: stroll the grounds of Kanyaka Ruins & Cemetery, look for all kinds of wild species at Brachina Gorge Geological Trail, and then hike along Bunyeroo Gorge. To see maps, other places to visit, where to stay, and more tourist information, refer to the Flinders Ranges National Park trip planner. Getting from Port Augusta to Flinders Ranges National Park by car takes about 3 hours. Expect a bit warmer weather when traveling from Port Augusta in November: highs in Flinders Ranges National Park hover around 37°C, while lows dip to 19°C. Cap off your sightseeing on the 25th (Sun) early enough to travel to Clare. The town of Clare is located in South Australia in the Mid North region, 136 km north of Adelaide. Explore hidden gems such as Riesling Trail and Jeanneret Wines. There's still lots to do: do a tasting at Sevenhill Cellars, enjoy some diversion at Lakeside Minature Railway, stop by Mintaro Wines, and contemplate the long history of Bungaree Station. To see reviews, where to stay, ratings, and more tourist information, you can read our Clare trip itinerary builder website . Getting from Flinders Ranges National Park to Clare by car takes about 4 hours. Wrap up your sightseeing on the 28th (Wed) early enough to travel to Murray Bridge. Murray Bridge is a city in the Australian state of South Australia, located 76km east-southeast of the state's capital city, Adelaide, and 77km north of the town of Meningie. Kick off your visit on the 29th (Thu): look for all kinds of wild species at Monarto Conservation Park. Keep things going the next day: experience rural life at Beerenberg Farm and then meet the residents at Monarto Zoo. To see reviews, where to stay, maps, and more tourist information, go to the Murray Bridge trip itinerary website . Traveling by car from Clare to Murray Bridge takes 2.5 hours. Expect a daytime high around 30°C in November, and nighttime lows around 13°C. Wrap up your sightseeing on the 30th (Fri) early enough to travel to Victor Harbor. Victor Harbor is a town in South Australia on the south coast of the Fleurieu Peninsula, about 80 km south of the centre of Adelaide. Discover out-of-the-way places like Horseshoe Bay and Urimbirra Wildlife Park. Change things up with these side-trips from Victor Harbor: Carrickalinga Beach (in Carrickalinga), Harvest the Fleurieu (in Mount Compass) and Allusion Wines (in Yankalilla). Next up on the itinerary: enjoy the sand and surf at Blowhole Beach, look for gifts at Victor Central, and stroll through Morgan Beach. For more things to do, ratings, other places to visit, and more tourist information, read our Victor Harbor trip planner . Traveling by car from Murray Bridge to Victor Harbor takes 1.5 hours. In November in Victor Harbor, expect temperatures between 28°C during the day and 15°C at night. Cap off your sightseeing on the 3rd (Mon) early enough to go by car to Adelaide. Explore hidden gems such as Chateau Tanunda and Beer Tastings & Tours. 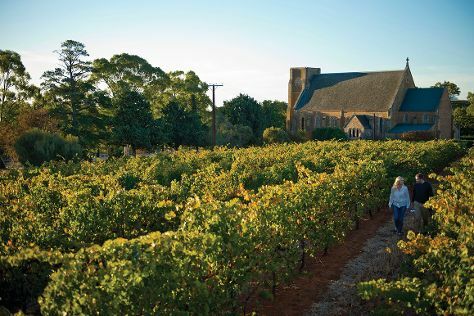 Explore Adelaide's surroundings by going to Rockford Winery (in Tanunda), Maggie Beer's Farm Shop (in Nuriootpa) and Beerenberg Farm (in Hahndorf). 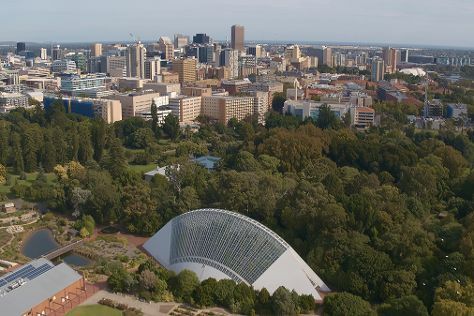 And it doesn't end there: admire the natural beauty at Adelaide Botanic Garden, see where the action happens at Adelaide Oval, take a stroll through North Terrace, and savor the flavors at Food & Drink. To see where to stay, other places to visit, and tourist information, read Adelaide online trip builder . Getting from Victor Harbor to Adelaide by car takes about 1.5 hours. Other options: take a bus; or do a combination of bus and train. In December, daily temperatures in Adelaide can reach 30°C, while at night they dip to 17°C. 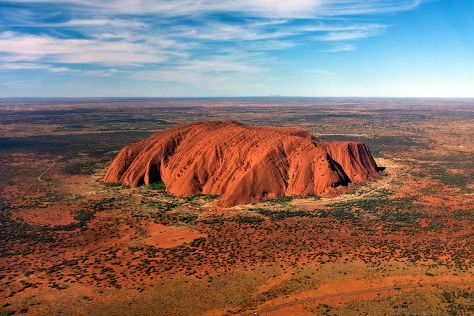 Wrap up your sightseeing on the 7th (Fri) early enough to travel to Uluru-Kata Tjuta National Park. Kick off your visit on the 8th (Sat): admire the verdant scenery at Valley of the Winds and then explore the striking landscape at Uluru. On the next day, get a taste of the local shopping with Walkatjara Art, then get engrossed in the history at Uluru-Kata Tjuta Cultural Centre, then explore the striking landscape at Kata Tjuta, and finally head outdoors with Walpa Gorge. For where to stay, more things to do, reviews, and other tourist information, read our Uluru-Kata Tjuta National Park itinerary planner . Getting from Adelaide to Uluru-Kata Tjuta National Park by flight takes about 5.5 hours. Other options: drive. In December, Uluru-Kata Tjuta National Park is somewhat warmer than Adelaide - with highs of 42°C and lows of 24°C. Wrap up your sightseeing by early afternoon on the 10th (Mon) to allow time for travel back home.